Despite his despondency, Heck has decided to try a new approach. 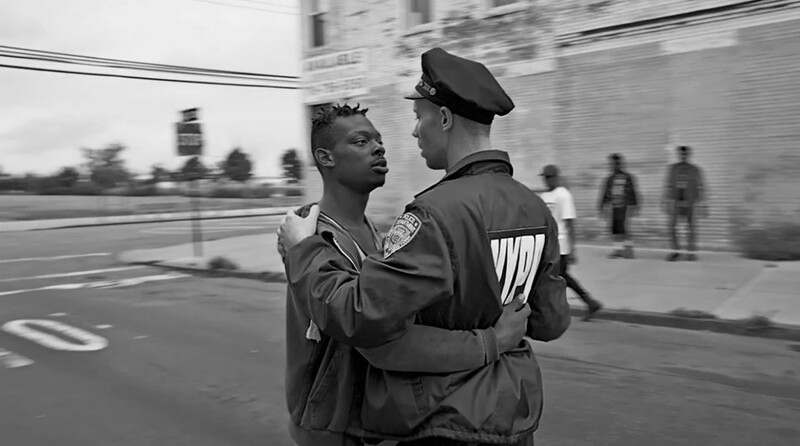 The artist and photographer has taken on the recent spike in brutality with new short The Enemy – a New York-shot film which pits a suspect and a police officer against each other in an new and (very) unexpected way. Shot for and premiered on NYmag.com, the three minute piece was a collaboration with choreographer Elena Vazintaris, and uses dance to represent and challenge power struggles and racial tensions. “I see this film as very positive. It's left pretty open, but pointing toward reconciliation,” Heck added.